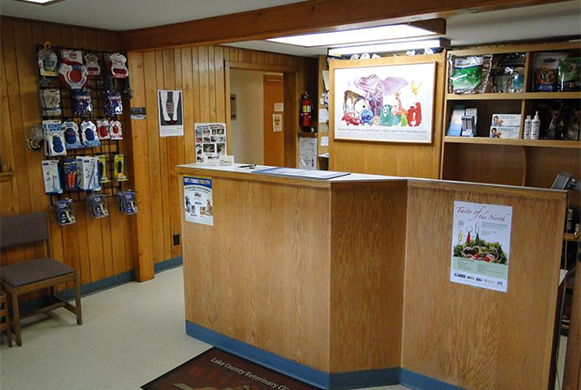 The reception area where pets come and go! 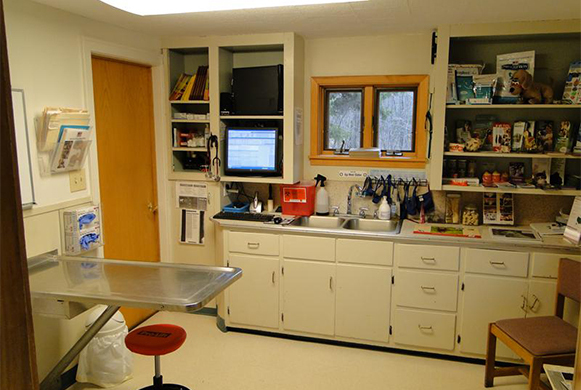 We have 2 exam rooms which the doctors use to perform physical exams and consult owners. 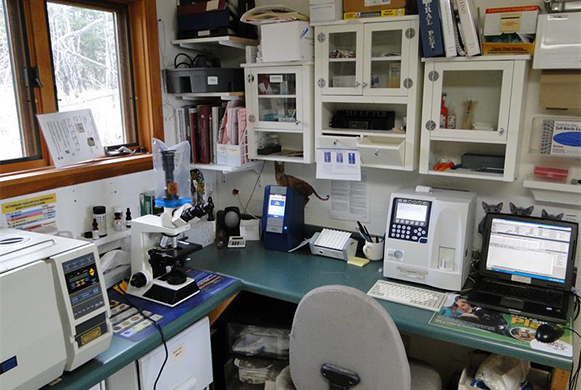 We can perform multiple tests from our lab, including CBC's, complete chemical profiles, and tests for Lyme disease. 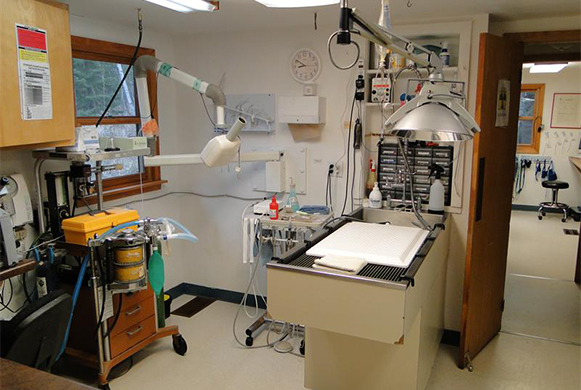 Here we perform all of our dentistry procedures. 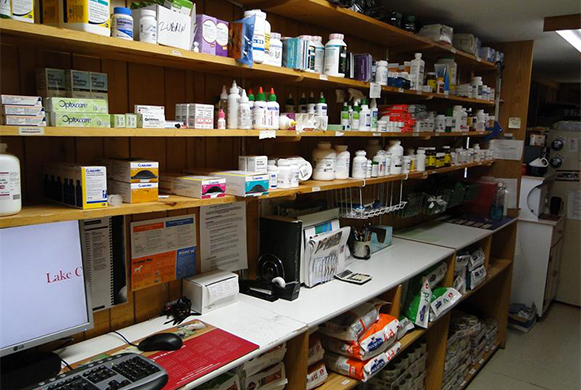 We carry a variety of common pharmaceuticals and can order specialty medications as needed for our patients. 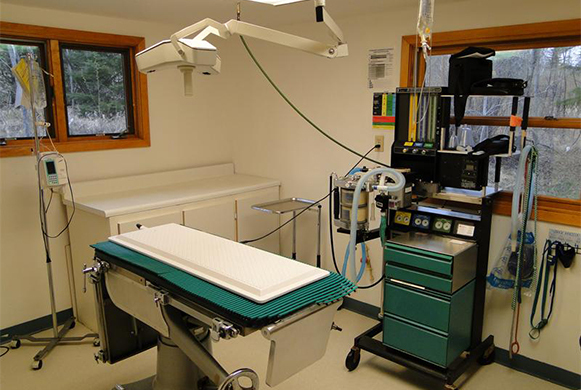 This is where our surgeries are performed. We have ten kennels in various sizes for your pet. 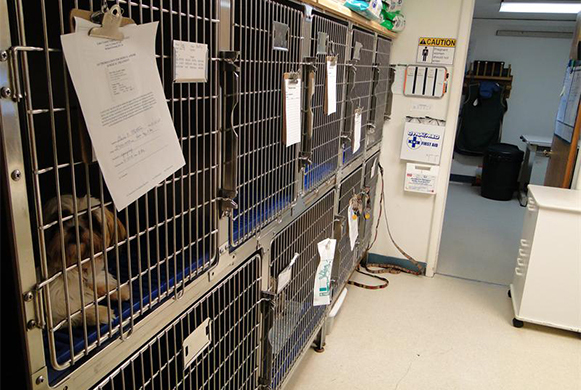 All kennels face a busy work area, so your pet always has attention and responsive care.